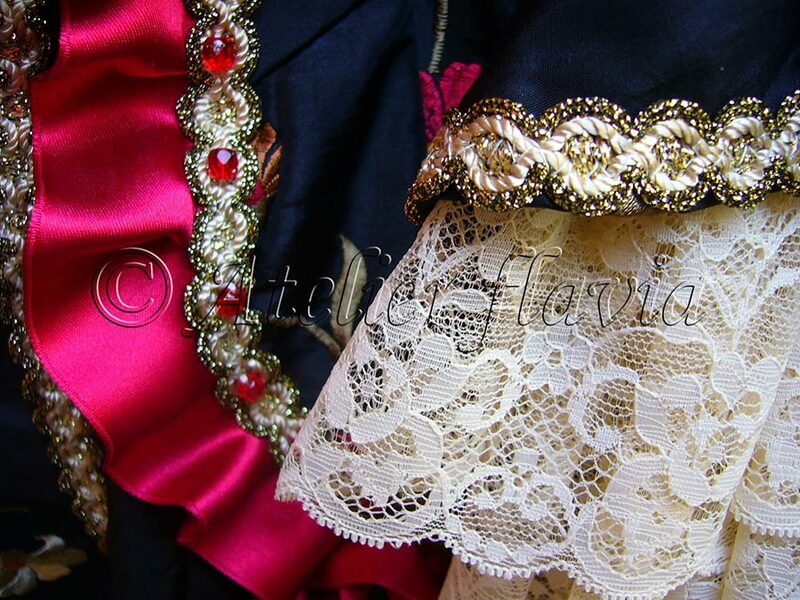 Corset: polyester textured satin, polyester ribbon, polyester and lurex passementerie, polyester lace, glass pearls, cotton satin lining. 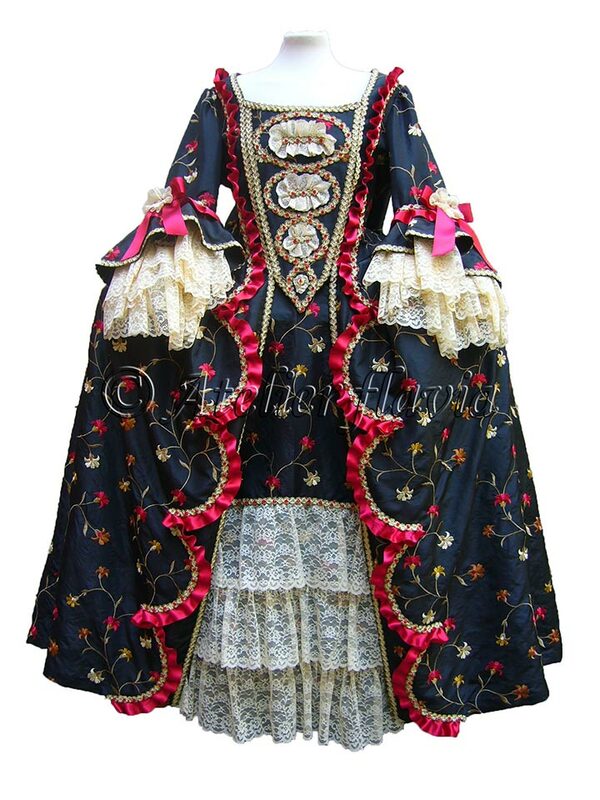 Skirt: polyester textured satin, polyester and lurex passementerie, polyester lace, glass pearls, polyester satin lining. 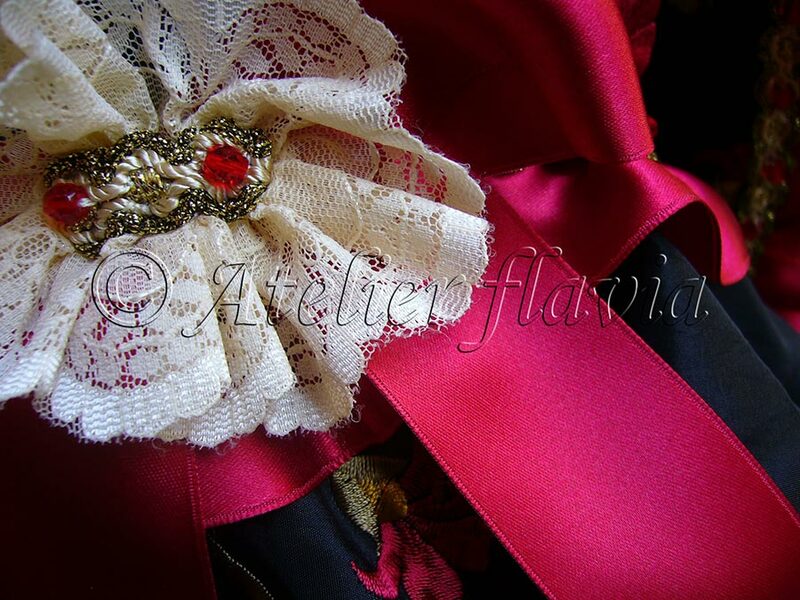 Tricorne: polyester textured satin, polyester ribbon, polyester and lurex passementerie, polyester lace, glass pearls, straw flowers, wool felt base. Handbag: polyester textured satin, polyester and lurex passementerie, polyester satin lining.